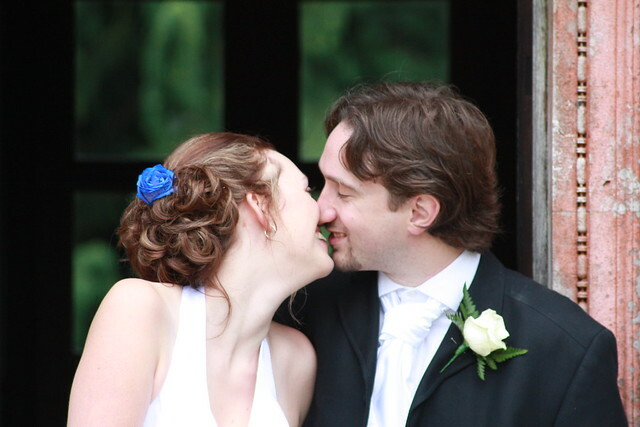 On the 26th August I got married to the amazing Katherine Shann, normally I use my blog to write about projects that I'm doing, but in this case I wanted to write a little about my wedding and subsequent honeymoon. Originally we talked about getting married next year, but after agreeing that we would keep the budget relatively low, and hit upon the idea of getting married mid-week, we settled on the 26th August this year as the date. On the day the weather held and whilst it was not particularly sunny, it didn't rain on us or our guests, and it wasn't too windy, so it felt warm and pleasant and wasn't too hot. So I was very happy that the weather had obliged somewhere in the middle of my various hopes. As part of keeping the budget sensible, we limited ourselves to just 30 guests. This was very difficult to do, as it meant excluding a number of people that we would have liked to be there, but we needed to be very strict. However, having done so, I cannot imagine what it would have been like to have 2 or 3 times as many guests (as seems common) It was really nice with 30 to feel like I had time to talk to everyone with more than superficial passing chat. And it was still pretty tiring by the end of the day, even though we had a couple of hours in the middle to relax in our hotel suite getting ready for our evening meal. I would not have had it any other way, we had a great time, and got to really have fun with our guests without being overwhelmed by numbers. Also the Mercure hotel in Salisbury did a great job, very professional. They gave Kat and her Sister the full red carpet treatment in the morning, even making sure people cleared their path and opened doors as they walked to the car. In the evening the meal rolled out perfectly and the food was great. So I have no hesitation in recommending their services, along with those of lamer tree gardens who also did a fantastic job making sure our day was perfect. I had intended to write about the honeymoon, but I shall save that for a separate post tomorrow.